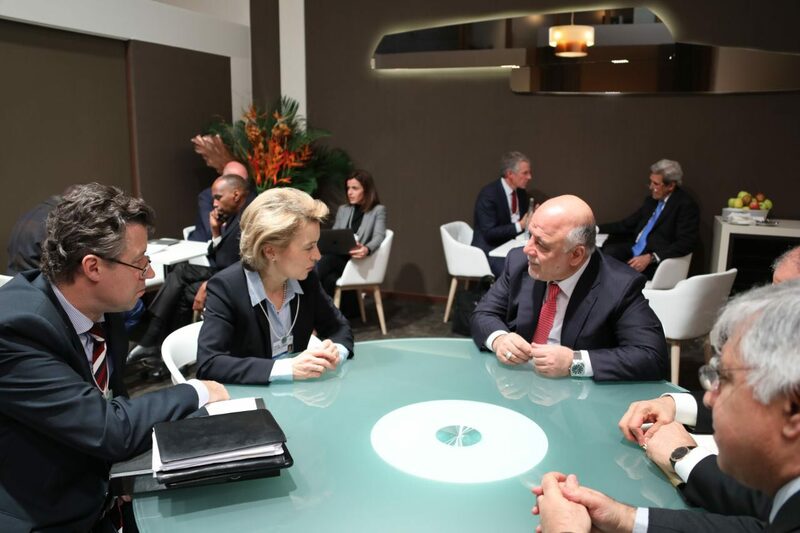 His Excellency Prime Minister Dr.Haider AL-Abadi has met German Federal Defense Minister Ursula von der Leyen on the sidelines of the World Economic Forum in Davos. The German Federal defense minister has confirmed her country's support for the unity and stability of Iraq, its continued training of Iraqi forces and exerting efforts to strengthen relations between the two countries in various fields. They have discussed the situation in the region and the importance of its stability.